Corn quality information is important to foreign buyers and other industry stakeholders as they make decisions about purchase contracts and processing needs for corn for feed, food or industrial use. The export cargo quality report is a companion to the prior-released harvest quality report, intended to provide an update on corn crop quality as it enters the international merchandising channels. The U.S. Grains Council (USGC) started rolling out new research on the quality of corn found in export channels during a series of seminars in Mexico last week. The seminars, which will continue in additional markets across the globe in the coming months, highlight the Council’s 2018/2019 Corn Export Cargo Quality Report and help establish clear expectations with buyers and end-users regarding the quality of corn this marketing year. 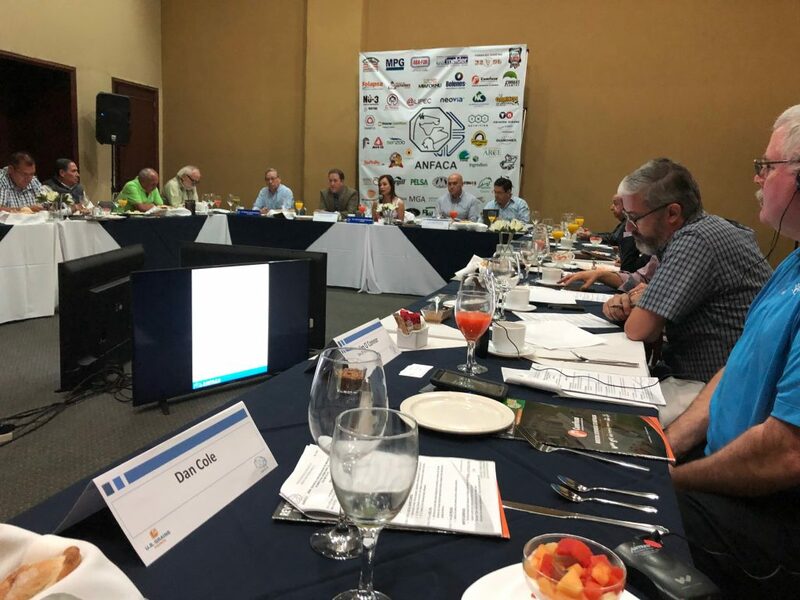 To share this information, two U.S. corn farmers joined Council staff in Mexico last week – Jim O´Connor with Minnesota Corn and Dan Cole with the Illinois Corn Marketing Board. The delegation traveled to three cities in Mexico – Querétaro, Guadalajara and Mérida – to present the recently-related report and provide perspectives from their respective operations, including how they make planting decisions and where they market their grain. The group met with representatives of the poultry and dairy industries, who expressed the desire for more consistent quality in cargoes received via unit trains and explained the importance of monitoring shipments for mycotoxins. In Guadalajara, the team toured a feed mill owned by the president of ANFACA, the national association of feed millers. The farmer-leaders also viewed the area’s diverse agriculture sector, including production of corn, sorghum, berries and blue agave. Jalisco is one of the most important states in Mexico in terms of livestock production, topping production for eggs, milk and swine as well as ranking second in beef production and fifth in chicken production. To feed those animals, Jalisco has 140 feed mills that produce 8.5 million metric tons of animal feed annually, consuming 5.7 million tons of corn, 1.7 million tons of soybean meal and 1.2 million tons of DDGS. 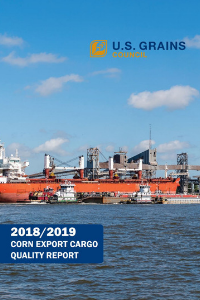 The export cargo quality report is a companion to the 2018/2019 Corn Harvest Quality Report that provides information about the quality of the most recent U.S. corn crop at harvest as it enters the international merchandising channels. Together, the reports provide reliable information on U.S. corn quality from the farm to the customer based on transparent and consistent methodology. They each give an early view of grading factors established by the U.S. Department of Agriculture (USDA), moisture content and other characteristics not reported elsewhere. Since they are done year after year, both reports identify any noticeable changes occurring between these two time periods. Read both 2018/2019 corn quality reports on the Council’s website.